Absolutely bizarre, zombie-like activity is now being reported across the entire country as reported in this newly released compilation video report from Jason A. After watching this entire 10 minute video, we have to ask what is going on to cause such bizarre behavior across our nation? 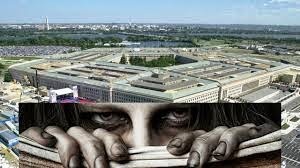 Is THIS why the Pentagon now has a ‘zombie response plan’ as reported on CNN just weeks ago? Is this some sort of biological/chemical attack upon Americans, a ‘test’ of some sort? Will there be some sort of ‘mass outbreak’ across the country in 2014 to 2016 as suggested now that this ‘outbreak’ is spreading?